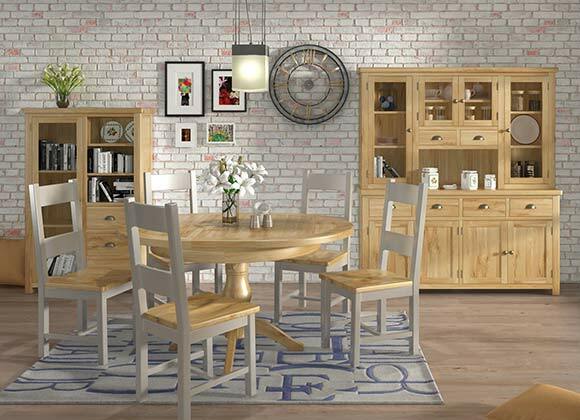 This extensive collection of dining, occasional and bedroom furniture is designed with a contemporary style and with softened corners for an added touch of class. 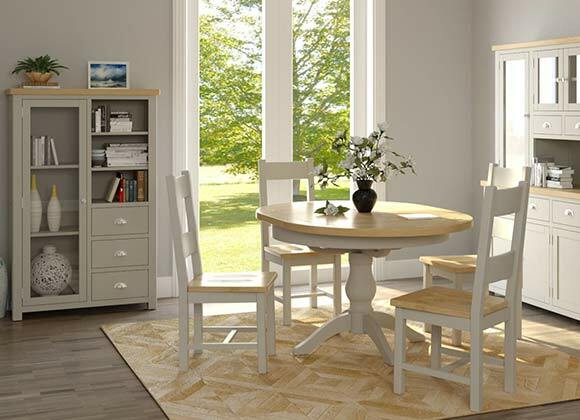 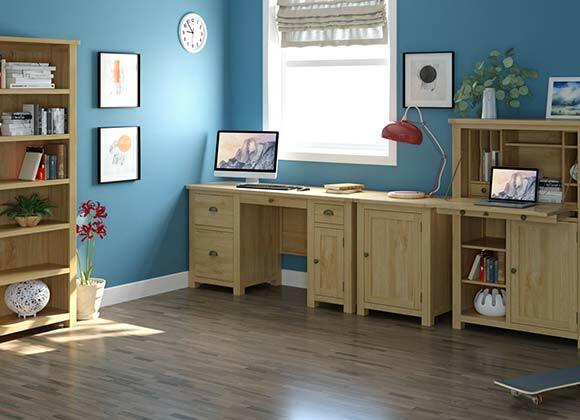 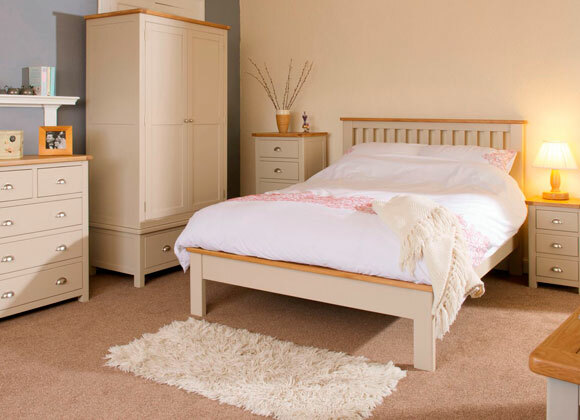 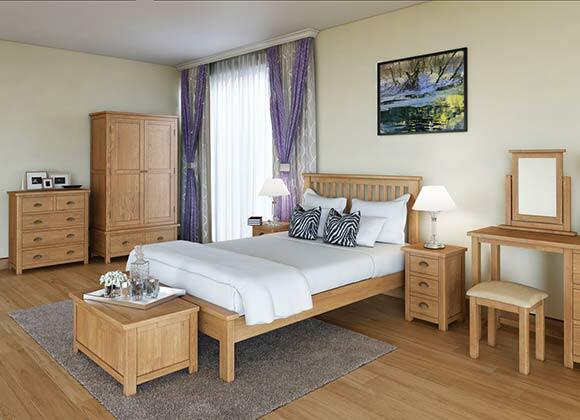 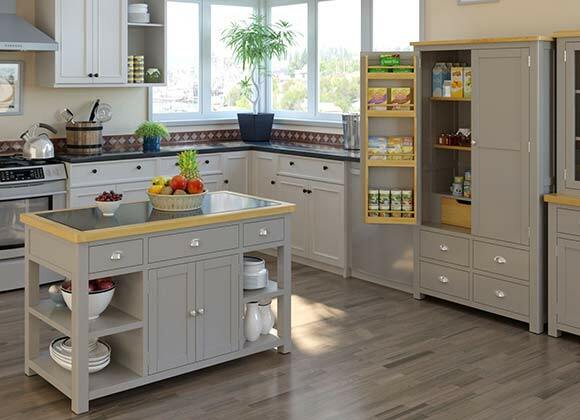 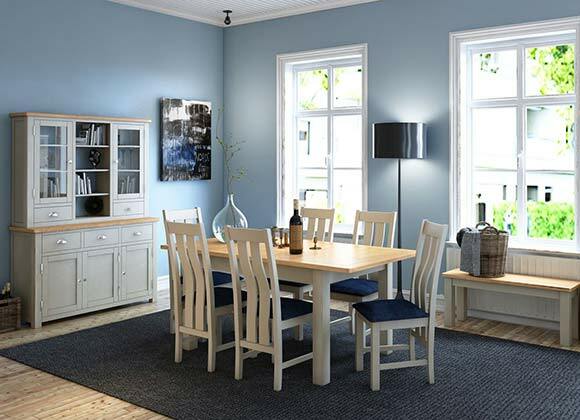 Available in an oak finish or with a choice of paints with oak tops the Portland collection offers choice for everyone. 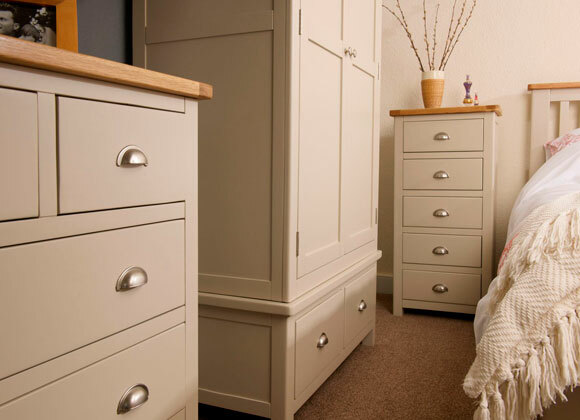 Different colour handles and knobs are also available to further enhance and give the collection a unique look.